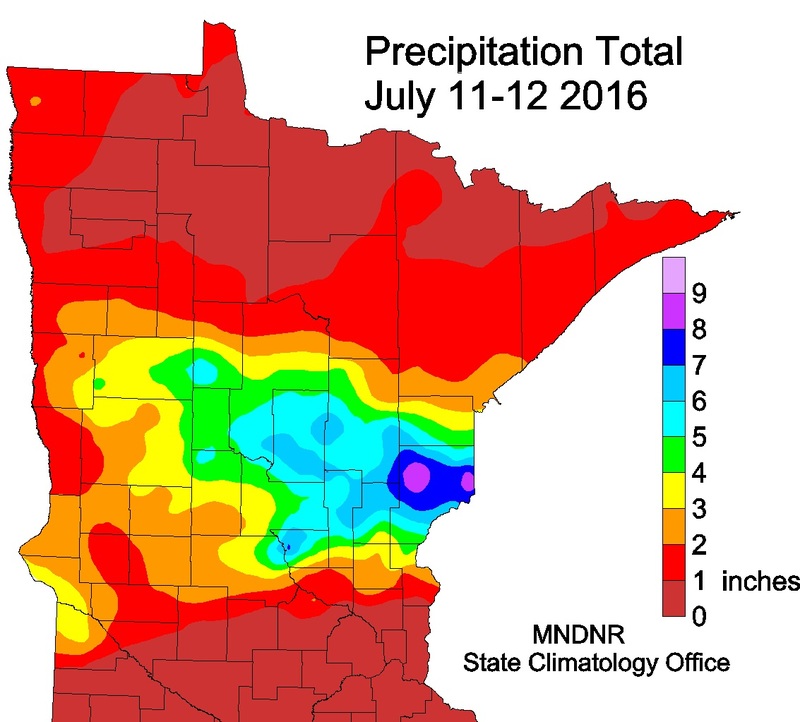 The summer of 2016 was stormy and wet for much of Minnesota. 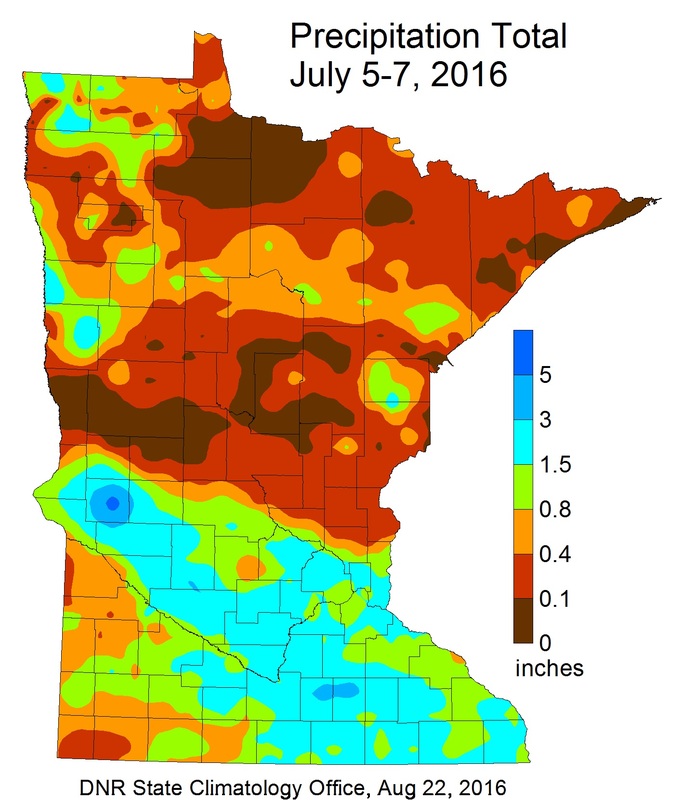 Some places in Pine County saw twelve inches of rain for June alone. 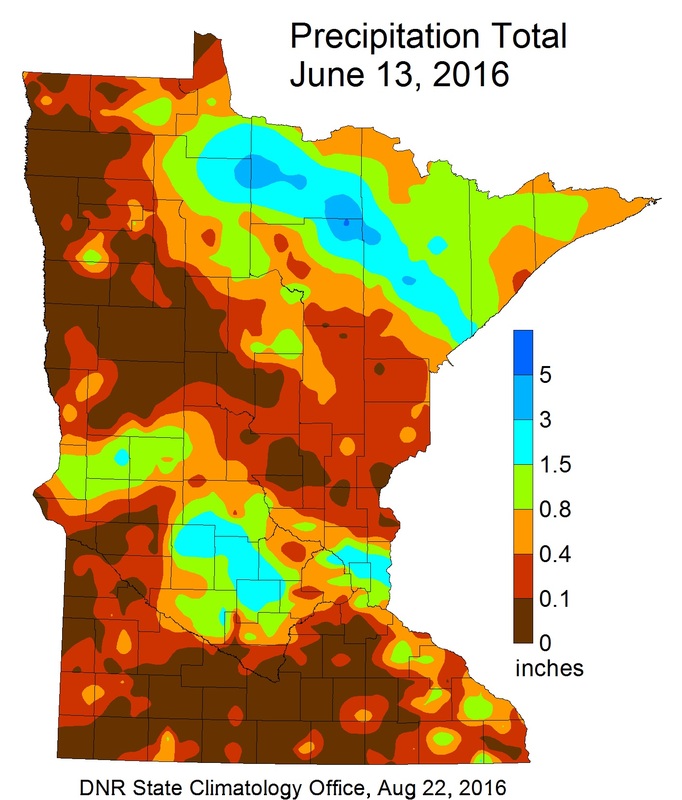 For June to August some of the wettest places in the state were Aitkin in Aitkin County with 23.29 inches of rain or 11.60 inches above the 1981-2010 normal. 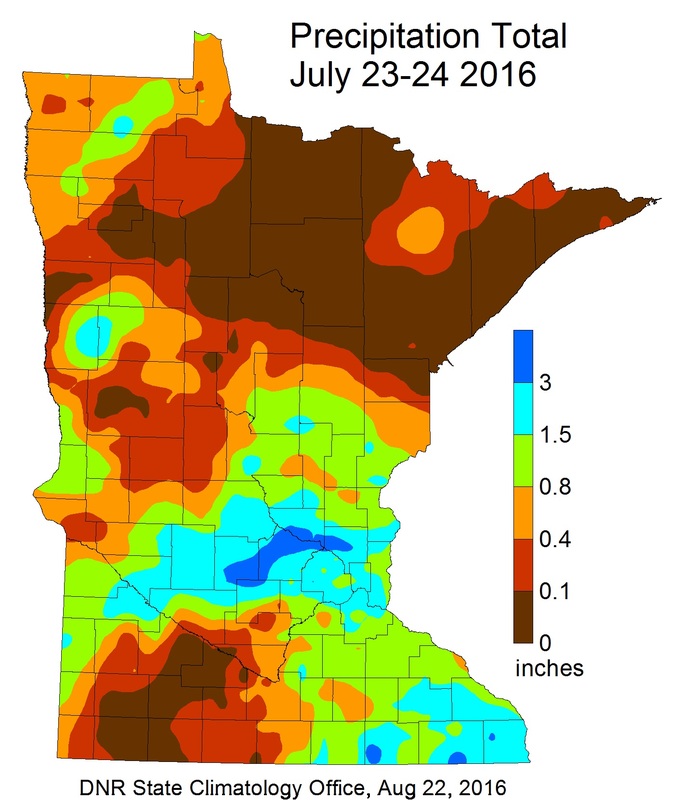 Brownton in McLeod County saw 24.58 inches or 11.78 inches above the 1981-2010 normal. 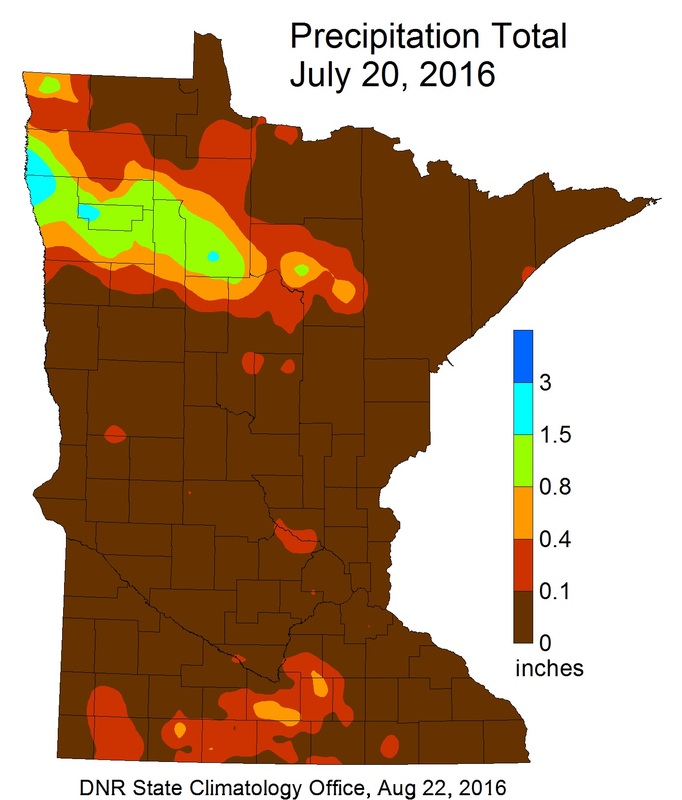 Brainerd in Crow Wing County with 20.69 inches of precipitation or 10.18 inches above normal. Redwood Falls was even wetter with 22.11 inches of precipitation or 11.19 inches above normal. This is the wettest summer on record for Redwood Falls, with 2016 edging 1993 out for first place with 23.34 inches (1993 had 23.08 inches). There were a few areas of the state that were not above normal for summer 2016 precipitation. Far southwestern Minnesota missed out on some of the heavier showers. Luverne in Rock County wound up with 10.23 inches for the summer or 1.31 inches short of the 1981-2010 normal. 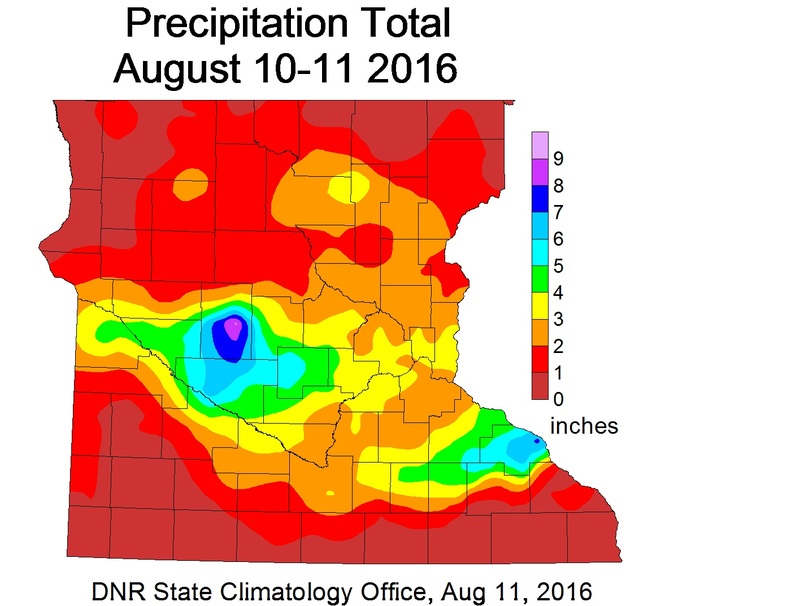 Across the border at Sioux Falls, The summer of 2016 was a fairly dry summer with a 3.65 inch deficit. *Redwood Falls National Weather Service Volunteer site.